Join us and live an amazing experience with cambodian children. 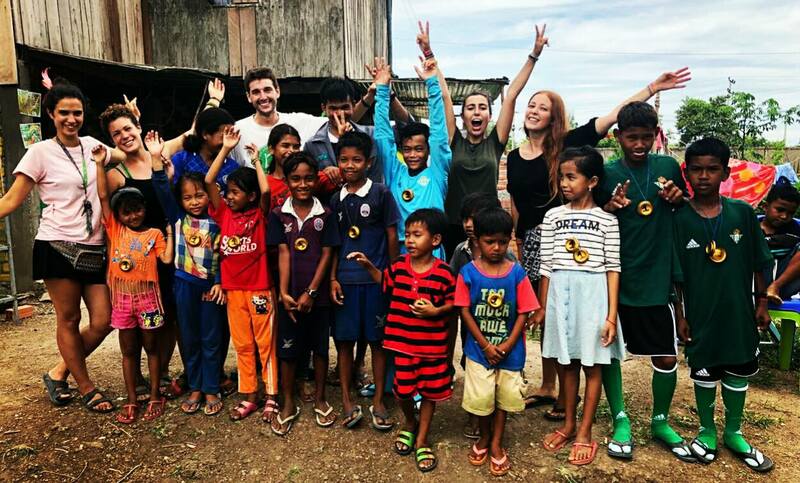 The experience you can do with us in Cambodia will have a big impact on your life. You will spend intense moments with the children, doing different educational activities, manual construction and maintenance works. We will work together on the current projects, developing new ideas and working together to provide a better future for our children. We need motivated enthusiastic peoplee, able above all to understand exactly what we do and to respect the balances created with so much hard work and sacrifice. 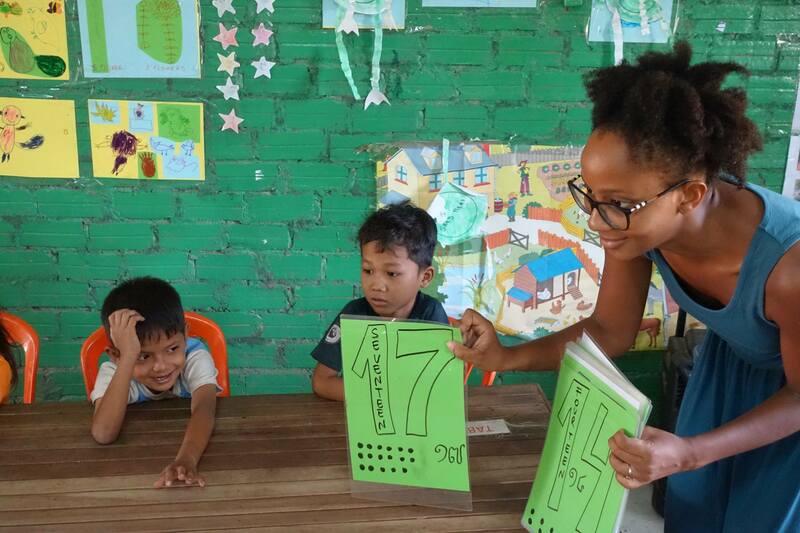 We want to manage the future of the Viva La Vida Cultural Center in the best possible way and the presence of volunteers who have the ability to adopt a professional attitude towards all the children who attend our center every day is fundamental. We started building the center in October 2017 and we have completed the work and officially started the activities in July 2018. In the Viva la Vida Cultural Center you can teach English, you can manage the computer room and the library, take care of the farm and the garden, work in the laboratory where we create workshops on creative plastic recycling, you can train the football teams and depending on your skills organize dancing lessons or sports activities. Every day there are maintenance and cleaning works that need to be done in the center, the volunteers have to do it with the help of the children and our Cambodian colleagues, and everyone has the chance to propose new ideas according to the philosophy of the project. You can also help us with social media by getting to know our project, organizing fundraisers and studying new systems to finance this reality. We must tell the world what we are doing with the hope of receiving support and with the aim of inspiring others to carry out projects of this kind for unfortunate children and adults! We promote an 'easy & friendly' atmosphere, with the aim of making your stay special and unforgettable. If you come to volunteer with Viva La Vida, you will see with your own eyes what we do and you will understand how you can contribute to the ongoing projects. 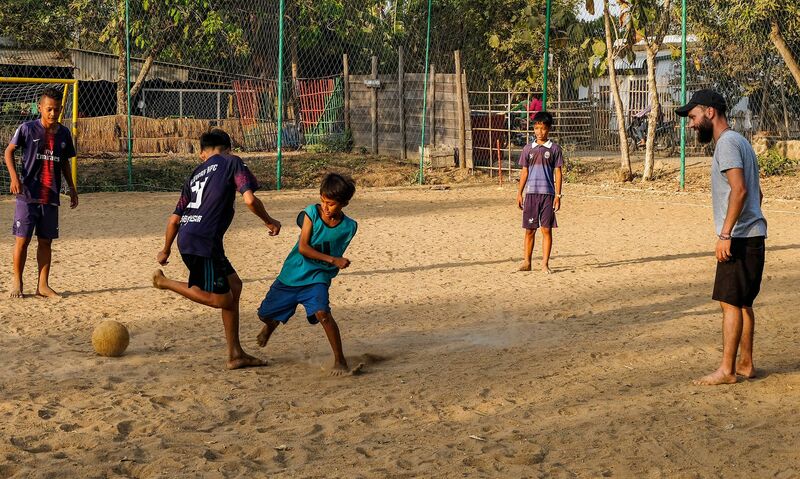 In our center, located 12 km from the city, we renovated a traditional Khmer house where our volunteers sleep, eat, share intense moments with children and completely immerse themselves in the authentic local culture. The dormitory can accommodate up to 5 people. The minimum stay is 3 weeks, the daily contribution required is 7 euros, and includes accommodation, 3 meals a day and water. We used the contribution to cover the center's fixed expenses such as electricity, water, food, local workers' salary, land rent, purchase of equipment to build workshop, for house maintenance and to assist the children we officially support. Although we do our best to ensure the best possible situation for our volunteers, be aware that the living conditions within our village are very different from those of the western world. We live in the Cambodian countryside, where there are many insects and animals, there is no hot water and sanitary conditions can be precarious. Read the conditions of stay and if you agree fill out our application form. If you have any question, take a look at the F.A.Q. section.